Satthwa means “pure” in Sanskrit and they stand by the motto “pure to the core”. 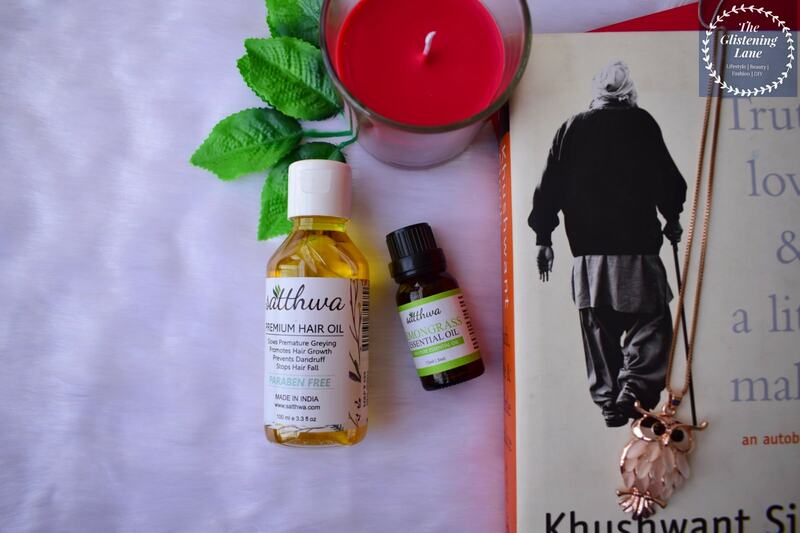 Satthwa was started by Prashant in early 2016 with the introduction of Satthwa Premium Hair Oil. Since then the hair oil has benefited thousands of users and the success of which lead the way to researching on other natural products. With that in mind, 100% Pure Certified Organics Essential Oils have been launched in 2017. 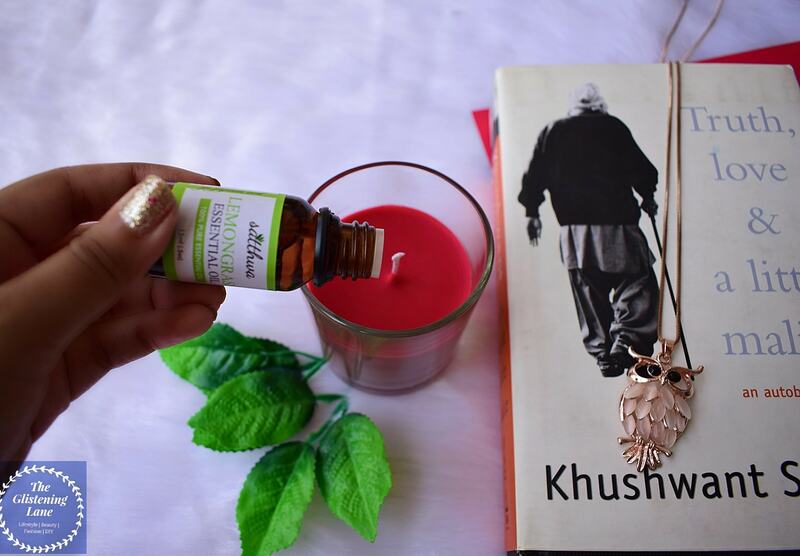 Ingredients: Certified organic Lemongrass essential oil. Steam distilled. 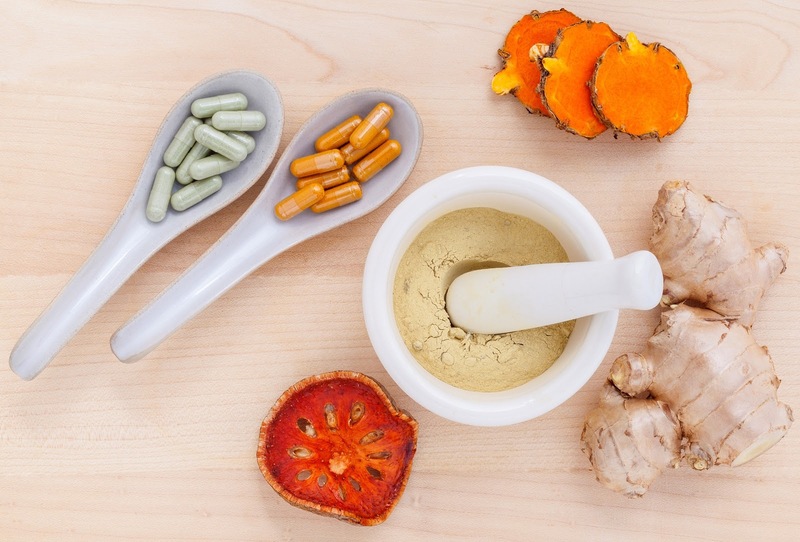 Benefits: Air purer, cellulite reduction, helps with digestive problems, boosts immune system & more! Suggested Use: For aromatherapy use. 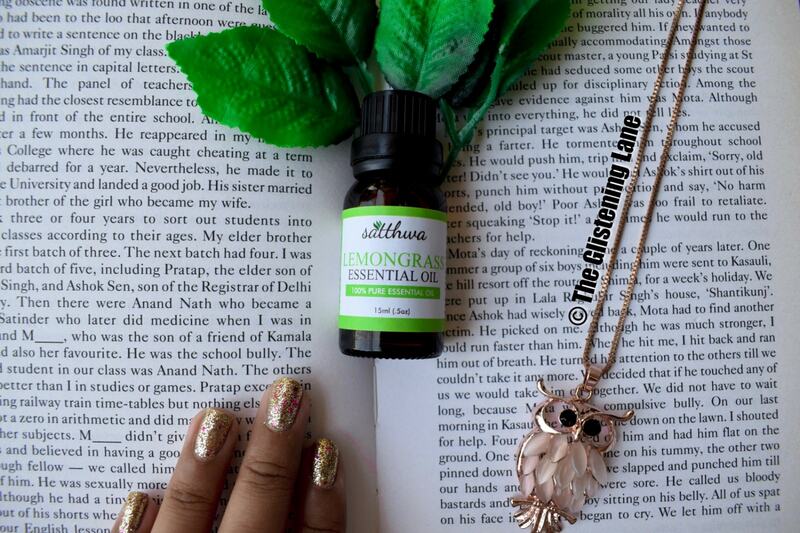 For other uses, mix with an organic carrier oil such as Jojoba or Coconut Oil. 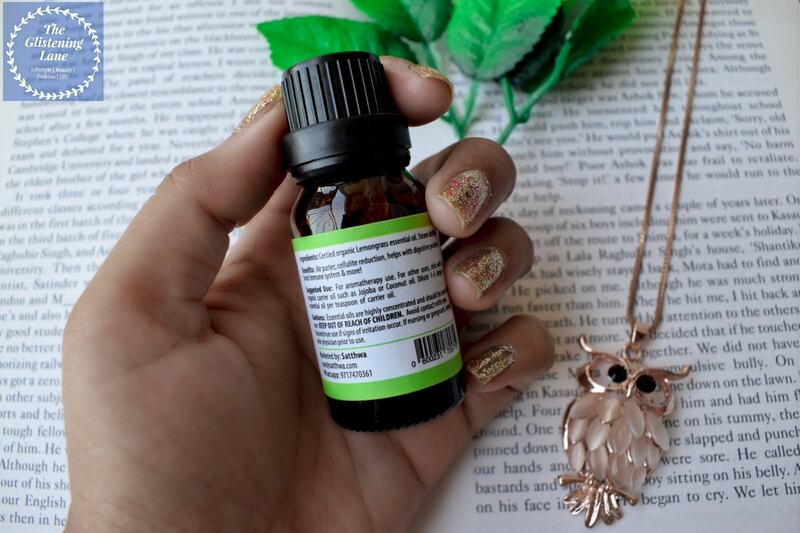 Dilute 1-5 drops of essential oil per teaspoon of carrier oil. 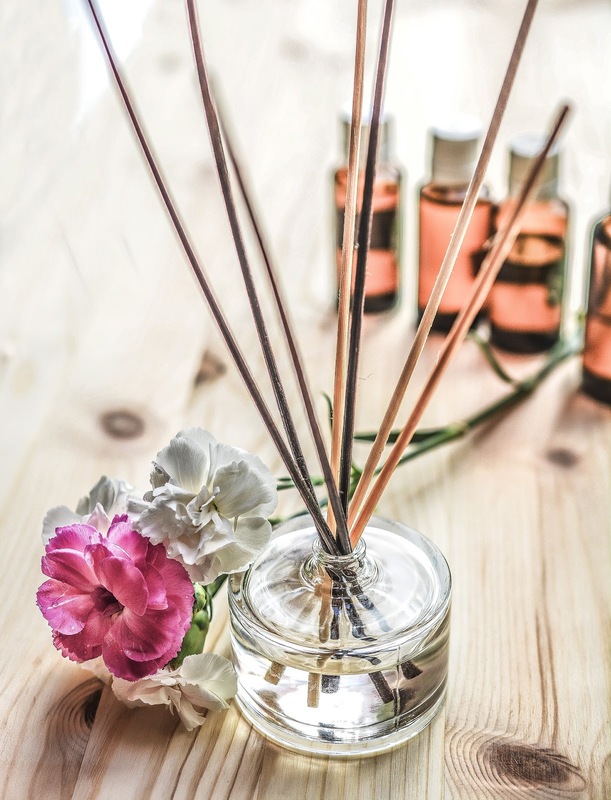 Cautions: Essential oils are highly concentrated and should be used with care. KEEP OUT OF REACH OF CHILDREN. Avoid contact with eyes. Discontinue use if signs of irritation occur. If nursing or pregnant, consult your physician prior to use. Buy Online: You can purchase these almost at 50% off on Amazon and Flipkart. It is also available on their official website; click HERE. Lemongrass essential oil has many beneficial properties apart from the wonderful aroma which it infuses when used for aromatherapy. As the name implies, lemongrass smells just like lemons, but it is milder, sweeter and far less sour. Lemon-grass essential oil helps reduce muscle & Joint pain, relives anxiety & Insomnia, is antimicrobial & anti-fungal, is rich in Vitamin C and makes for an effective insect repellent as well. 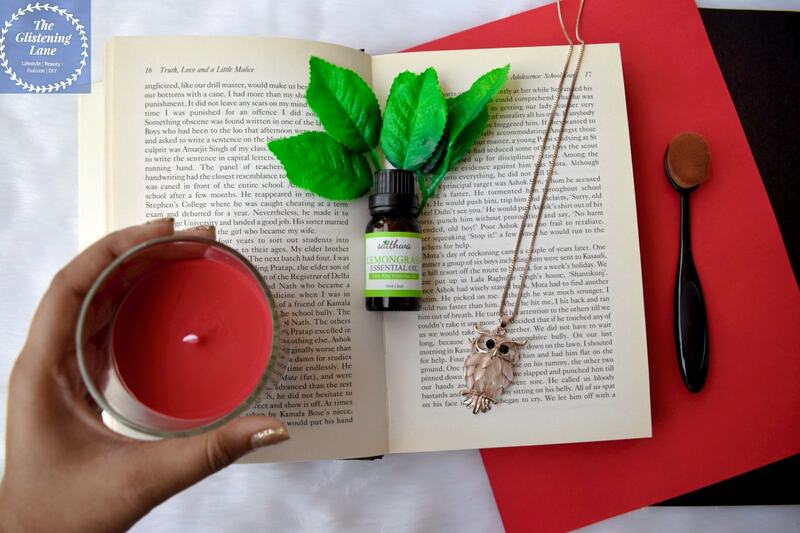 Works well for soothing out body pain – Lemongrass Essential oil is known to help in soothing any soreness within the muscles or body. For tired feet after a day in heels, you can add few drops of lemongrass oil into your bathing salt and warm water mixture. Another easy means to use this is by mixing few drops into your choice of oil and you can use it for massaging the desired stiffed body parts. 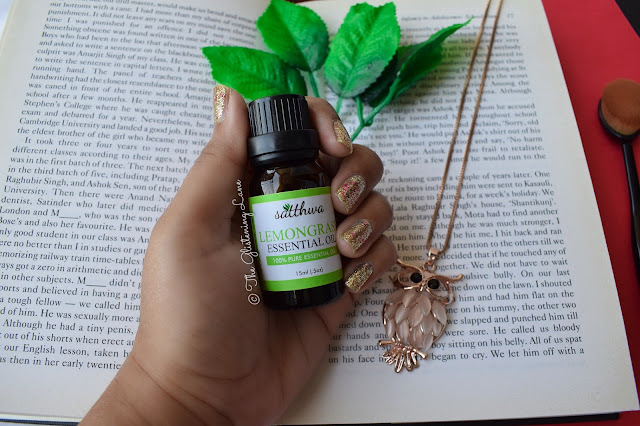 A great Antiseptic – Since lemongrass is endowed with antiseptic properties, you can incorporate it within your skincare; especially for people prone to acne. Lemongrass oil will make sure that the bacteria which causes acne is kept off guards. 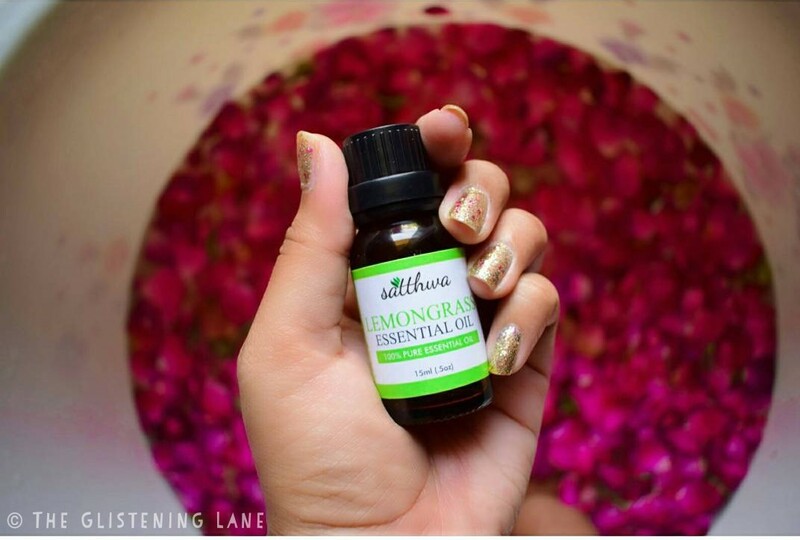 The simplest manner of using lemongrass essential oil for face is by mixing it in some plain/rose water. Preferably, use a spray nozzle bottle to ensure easy application. 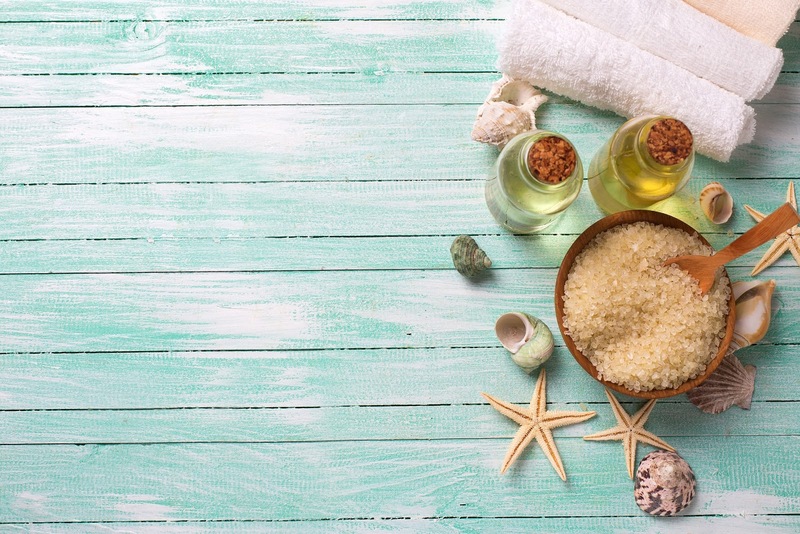 Make sure to shake each time before using this DIY lemongrass toner. If you are like me who can’t really go through much hassle, you can probably use few drops while creating a face mask concoction. 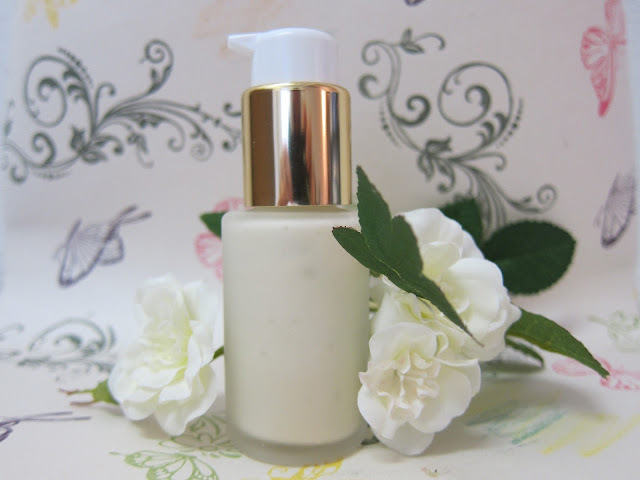 In case you have oily skin, take out your favourite gel based moisturizer and pour two drops into it. 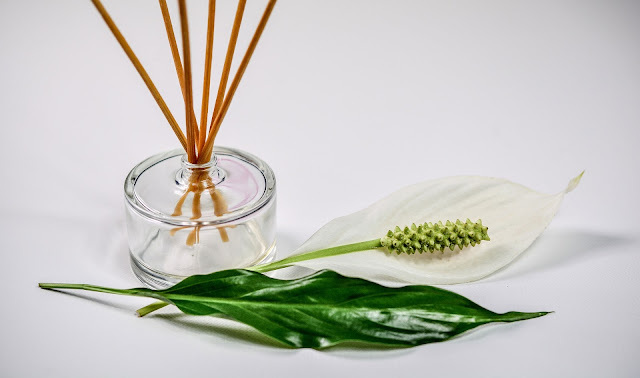 Insect repellent – The natural means to keep mosquitoes and mosquito related health problems, then all you gotta do is add lemongrass essential oil to your favourite body lotion and slather it onto your skin. And B-A-M-N you’re good to explore the world without worry about mosquitoes! Reducing Pores of facial skin – Not only does lemongrass help in keeping insects away; it also keeps away the acne causing bacteria. And the best part is that it can help you in reducing your facial skin’s pores. Mix it with some water and add in few drops to that and spritz this onto your face. This can replace your toners and you’d definitely see your pores & acne being reduced. Reducing Dandruff – Lemongrass also helps in evading the dandruff issue. The best way to use it for treating dandruff is by mixing it to your weekly hair care routine. All you need to do is mix few drops of it into olive oil or coconut oil whichever you prefer. For most amazing results, try it with Satthwa’s Premium Hair Oil as it is an amalgamation of 9 beneficial oils which cater nutrition to your scalp and hair strand. Why to pick only Satthwa’s Essential Oils? 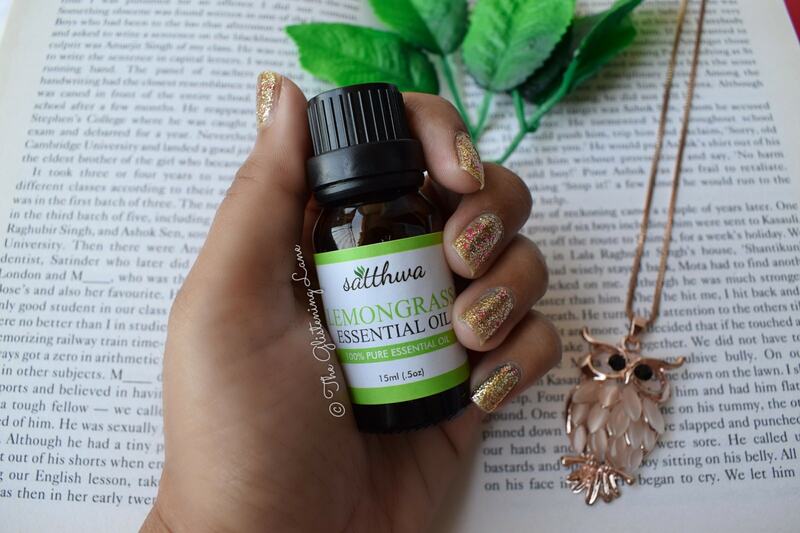 👉Because Satthwa’s Essential Oils are 100% Pure & Certified Organic. 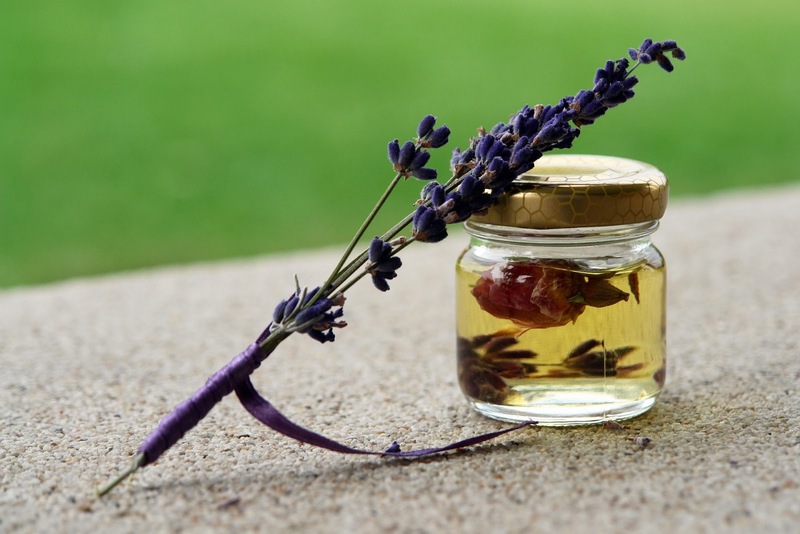 Those essential oils which aren’t stated as “certified organic” are never completely pure. The reason being, the plants from which the essential oil is produced are sometime sprinkled with chemical fertilizers and pesticides which manage to protect the crop from getting eating by bugs. But these chemicals cannot be removed while making use of it for deriving essential oils. Thus, they aren’t 100% pure. 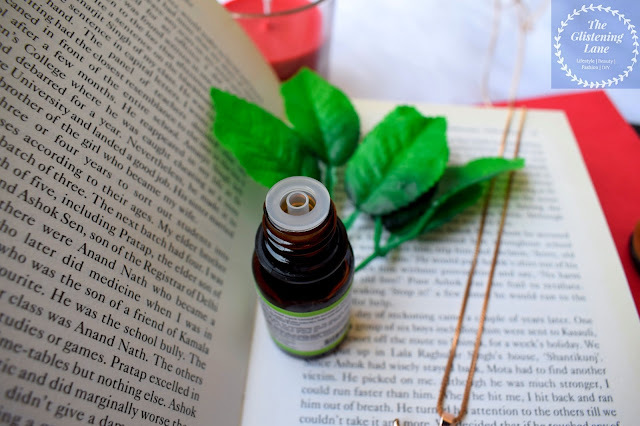 The word “certified organic” is what you need to see for within the labels while purchasing essential oils. 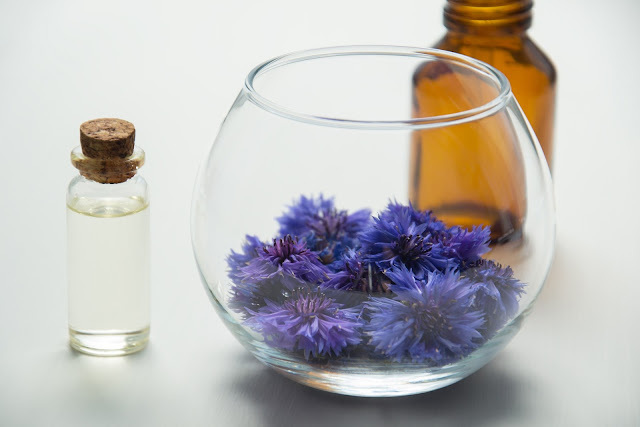 Comparatively, organic essential oils have much more potency and display quick results rather than the non-organic ones. Hope these little tips would help you next time when you think of adding to your cart some essential oils. Essential oils can be used in everyday routine of our lives but majority of us aren’t aware how each essential oil can be put to use. But of course, we have Google now to help us resolve every dilemma. 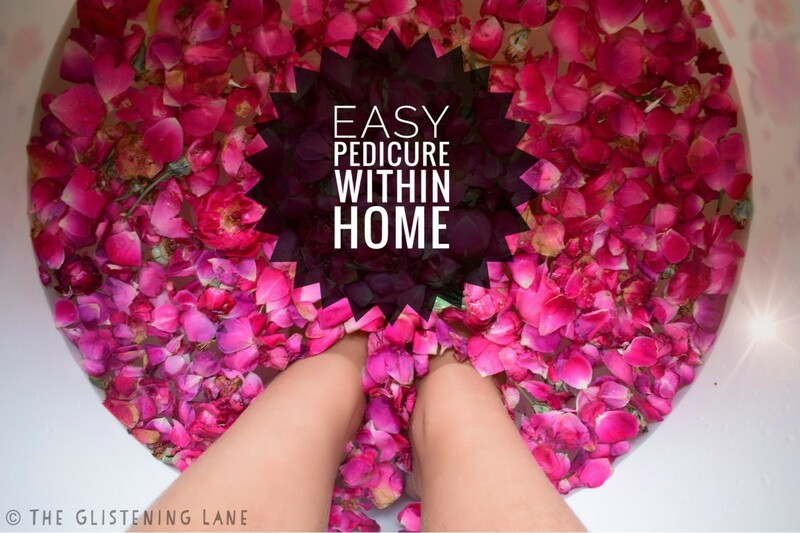 The most neglected part of our body remains to be those hardworking feet. And for all that effort, they definitely deserve some pampering. You don't necessarily need to go through a complete pedicure process and mere soaking would do wonders to relieve your aching feet. So today, I shall share with you my feet soaking concoction which has worked wonders to calm down the torment that heels leave behind after a tiring day. ⏺ To this, add in a few drops of lemongrass essential oil. Lemongrass works as an anti-sceptic and shields from any fungal bacteria. Also, it works as a natural mosquito repellent. ⏺ Mix them well and for going all fancy, you can incorporate Desi Rose petals also. Rose helps in calming any sort of inflammation and caters hydration. 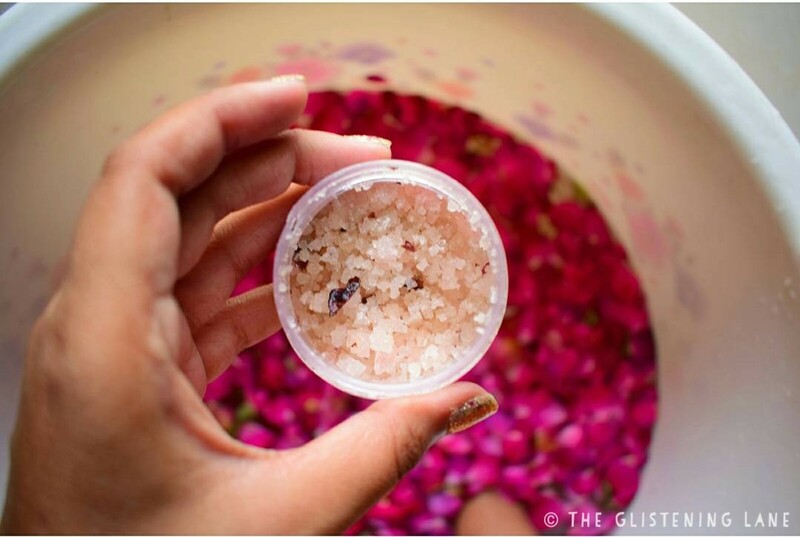 Although, a lot of us underestimate the desi rose petals, it is actually much more beneficial for the skin than the one you get from florists. Plus, you get them really cheap.